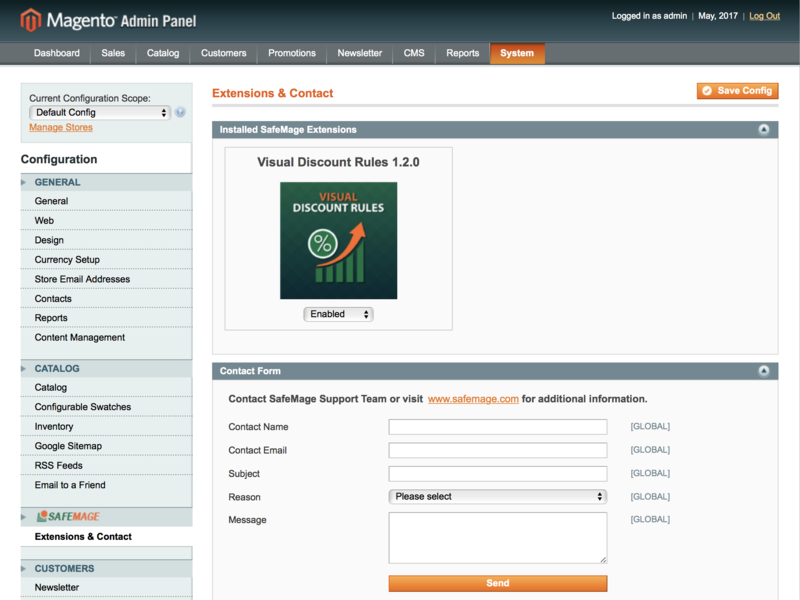 With help of this extension, you can set up progress discount rules and display them in the form of a bar on the top of the website in the front-end. Interactive visualization can likely greatly impact sales by motivating customers to order more products for a better price. 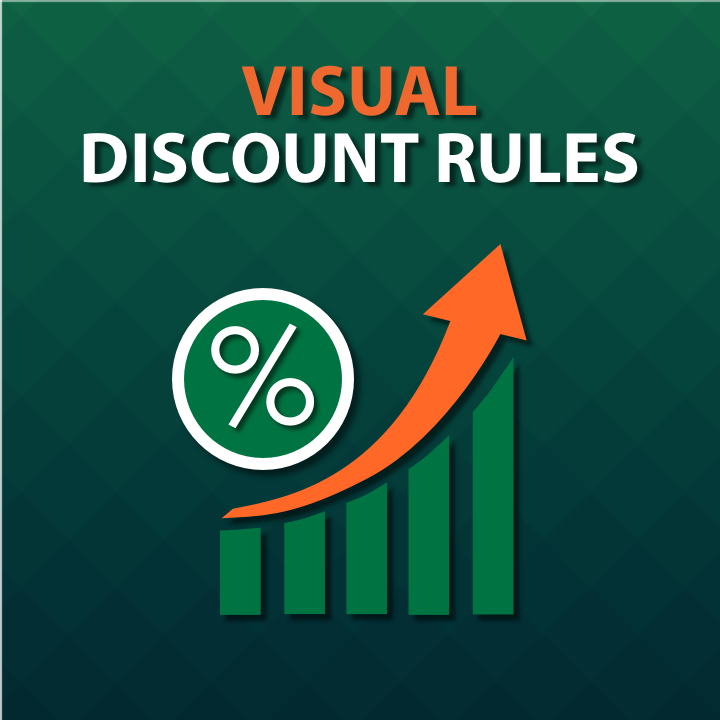 The visual discount rules represent stand-alone entities, distinct from and similar to default Shopping Cart Price Rules at the same time. 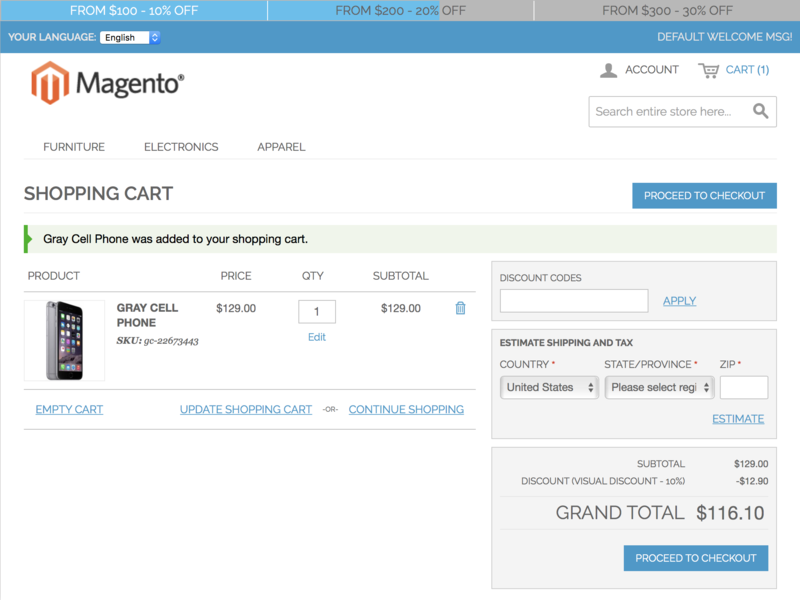 In the front-end, after the customer adds any item to the cart, the discount progress bar will appear and provide information about subtotal ranges and current / potential discounts. The bar will be displayed at the top of any store page. 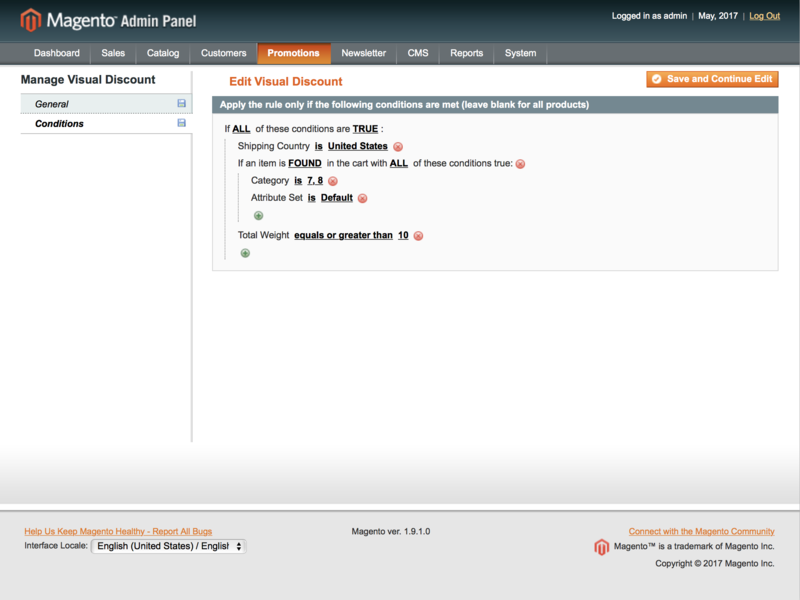 If necessary conditions are met, a respective discount, which is similar to that of default Magento, is provided at the cart page. 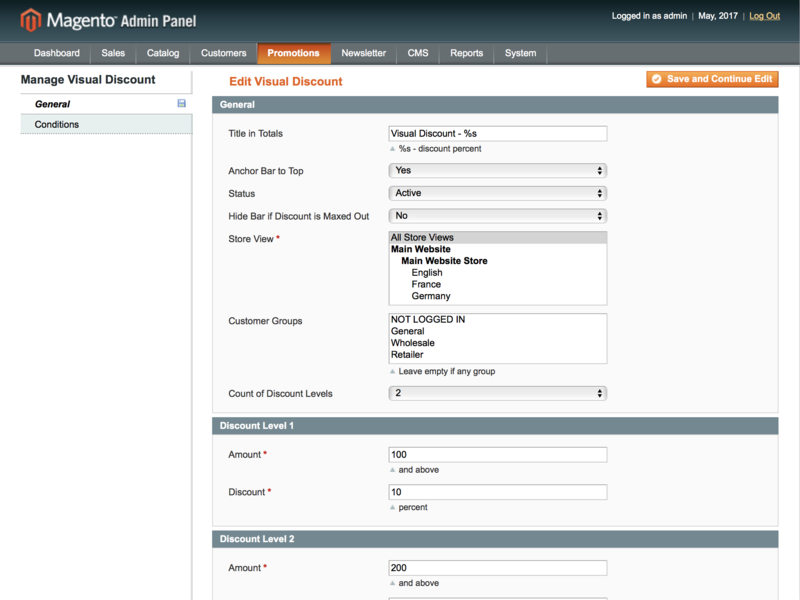 Added ability to hide the bar if the discount is maxed out. Improved the bar styles and the discount title in the totals.